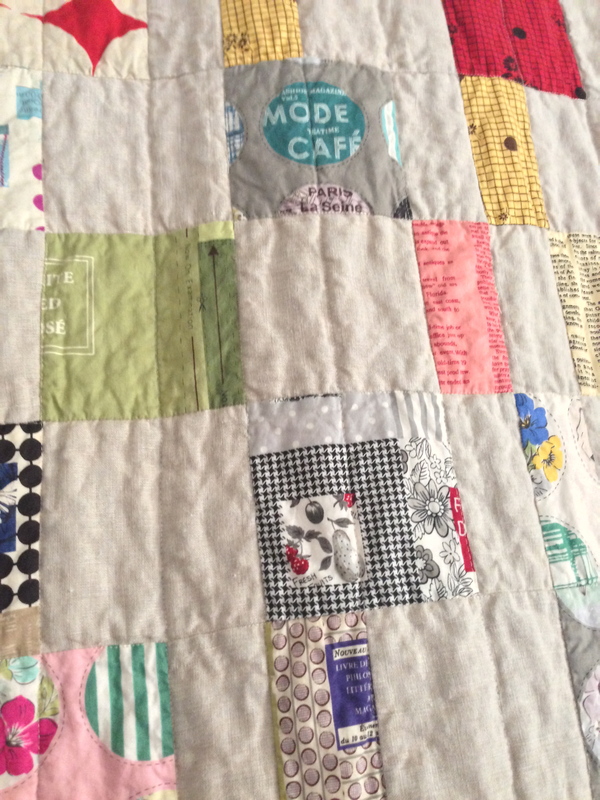 I finished my mini quilt for the Schnitzel and Boo swap. My partner has taste that is pretty different than mine, so it was fun to make her something. It is not perfect, but it was made with a lot of heart, and I am happy with it. 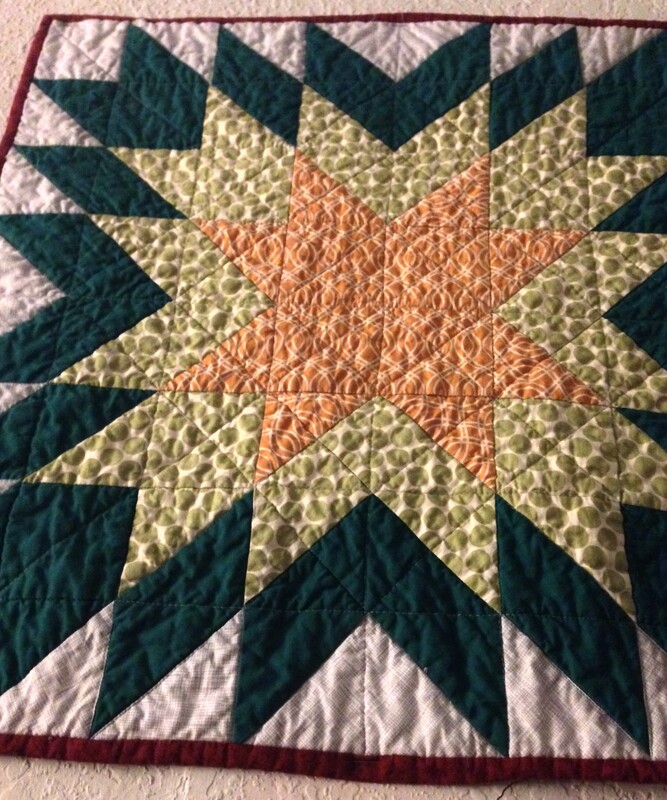 I was inspired by this mini quilt by Canoe Ridge Creations. 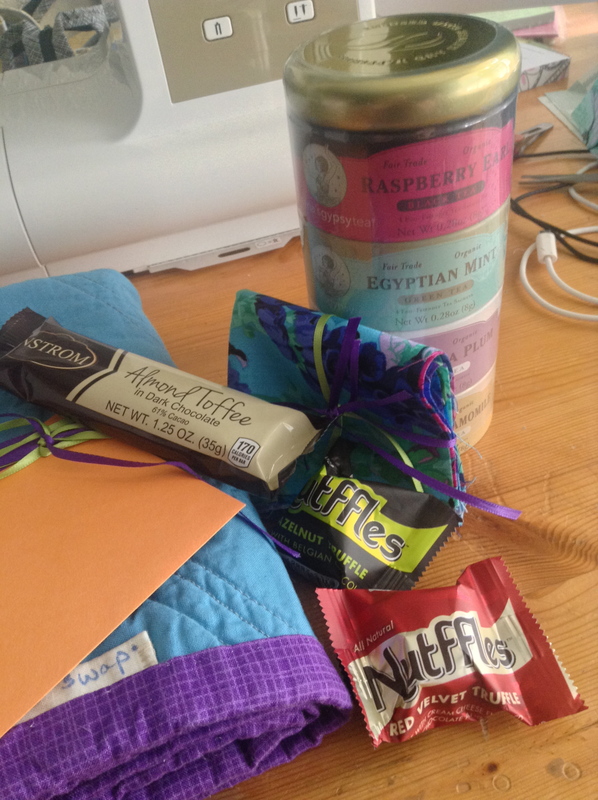 I added some tea and chocolate and extra fabric to the package and it will start its journey tomorrow. Yay! 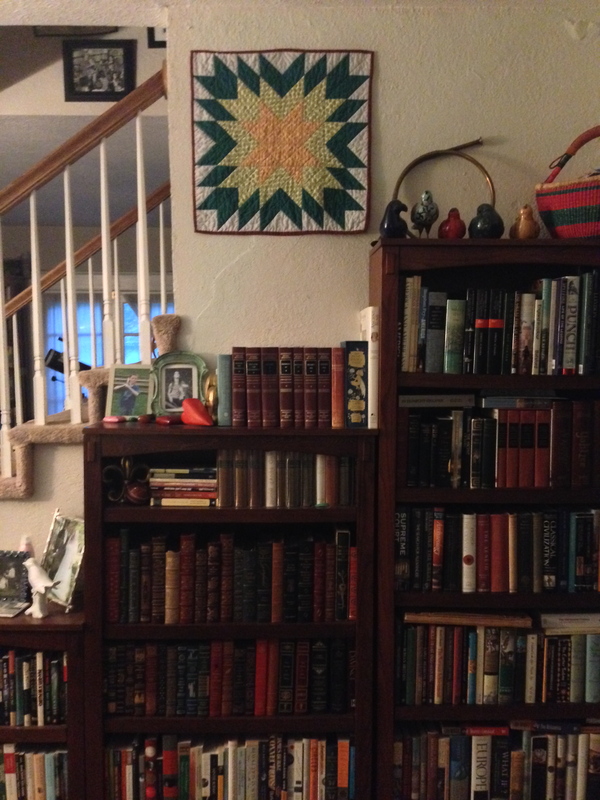 Thanks much to the woman behind Schnitzel and Boo for hosting – this isn’t a small undertaking. 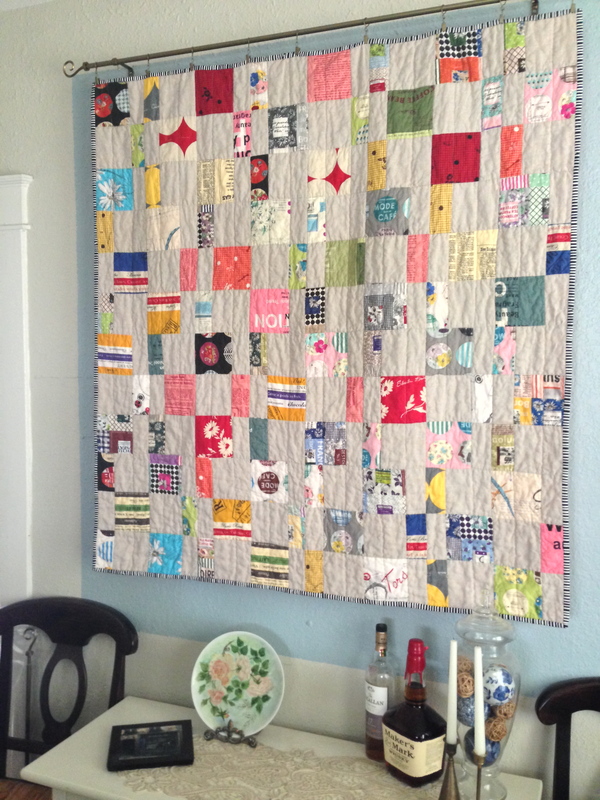 And I do think she is the cutest woman in the quilting blogosphere. And I am sure her name isn’t Schnitzel and Boo, I don’t know what it is though. And I wanted a simple pattern. Something sort of Rita-ish. I decided on the charm pack cherry. Which was very simple, except for all of the cutting. Which one wouldn’t need to do if one were to use a charm pack. 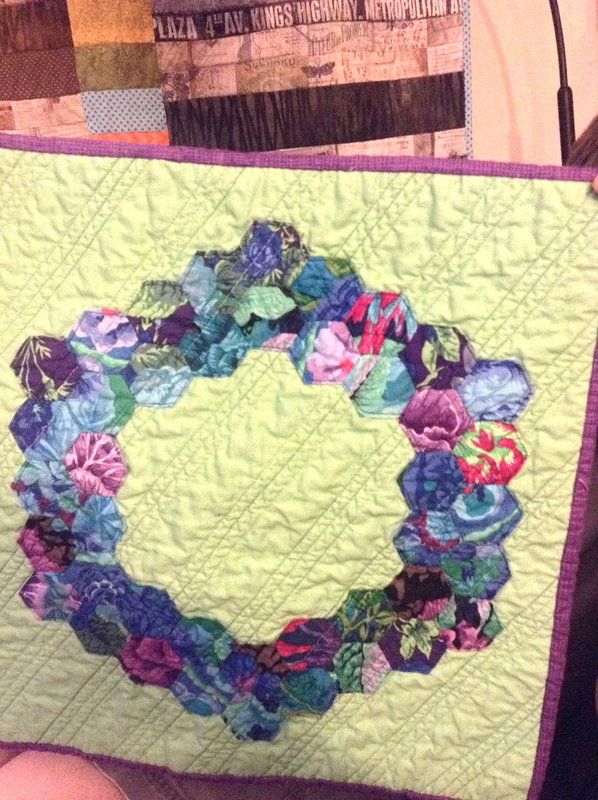 A really great pattern – one I will do again someday, but actually use charm packs. 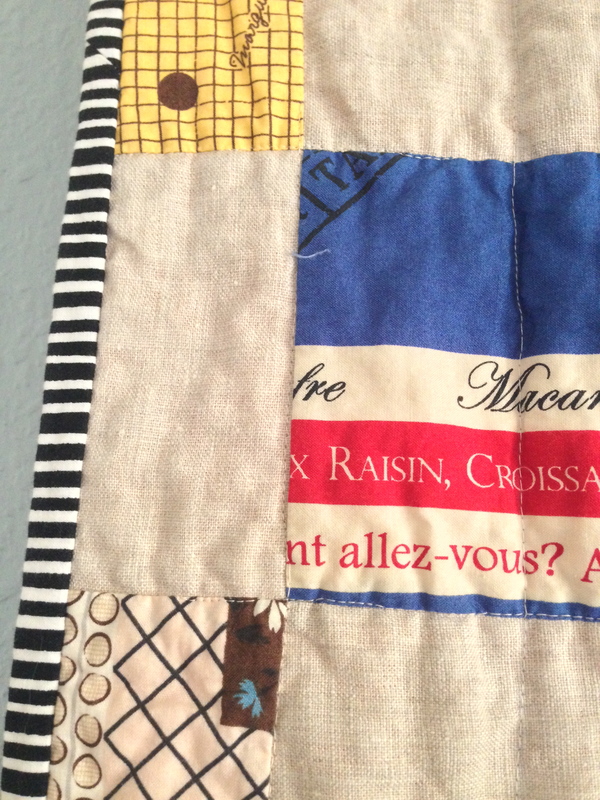 I love how this turned out, and am choosing not to fret about some of the text fabrics being upside down. Great colors, lots of text, and beautiful, beautiful linen. Continuing to channel Rita, I used a black and white stripe binding. And channeling myself, quilt it very simply – mostly in the ditch, carrying the lines of the rectangles through the squares.